Published by Dimira Teneva in Ecommerce strategies for growth. 17 mins to read. Analyzing eCommerce data sounds scary and discouraging. You probably don’t want to spend your days looking at trend charts, you want revenue coming in. One eCommerce business owner told me once that he only started looking at his performance numbers when he got a family and had to be more responsible. Well, it’s a miracle his business even survived. Ecommerce data analysis shows everything that’s working and not working with your online store. Without it, you’re driving with your eyes closed. That’s scarier than some numbers and ratios. So, the purpose of this Mega Guide is to walk you through what eCommerce analytics is, give you a few ready reports and help you start using the conclusions you’re making on the data. Sometimes, you probably feel overwhelmed by all the things you have to do for your online business. When operations and customer service need to be flawless, it’s hard to find time to look back and do analysis of your e-commerce website. Maybe the problem is in all of us, consultants and experts, who throw advice at you and it seems like you never do enough. In business performance, less is more. While all sorts of things can be tracked, measured and benchmarked, the truth is it’s not necessary because all businesses are different and comparing is pointless. What we offer you instead – to follow the minimalistic trend – is limiting yourself to the bare and most telling metrics in eCommerce analysis. They show just what you need to know – if things are working or not and where the problem is. Everything else is vanity metrics (and we don’t hold them dear). They flatter you just like likes on your personal Facebook profile do, but earn you no extra cash. Optimizing the core metrics brings in the cash. More likes on your posts doesn’t matter; high ROI from a channel does. In our talks with clients, we notice they don’t try to do everything at once – instead, they focus on very few metrics that lead in the right direction. 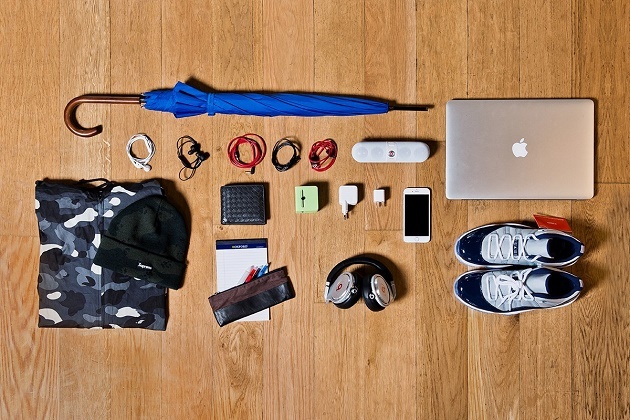 So – to the essentials! Not just how much you pay for each customer, but broken down by channel of acquisition. You should assess carefully if you can afford growing fast with paid acquisition. How long can you sacrifice profit in the name of growth? Is having 10, 000 customers and losing money on all of them better than having 2, 000? When you keep costs under control on all fronts (acquisition channels), growth is sustainable and you’re getting returns from the first sale. Optimizing your marketing spending can’t be done without this metric – you’ll never know what efforts pay off and where you’re simply flushing money down the drain. Stubbornly adhering to a certain channel only because that is what others do is a recipe for failure. In line with the concern for acquisition costs, the conversion rate of each channel is the next KPI all businesses should keep a close eye on. First, no conversions, no money. You can look at your traffic reports, Twitter followers, article shares and so on all day, but none of them equals cash. Yes, they are indicators, but not metrics how your business is doing. If traffic is really low today, your business is not down – in fact, conversion rate might stay unchanged. And on the other hand, if you have 100k followers, it doesn’t mean you have the same number of customers. 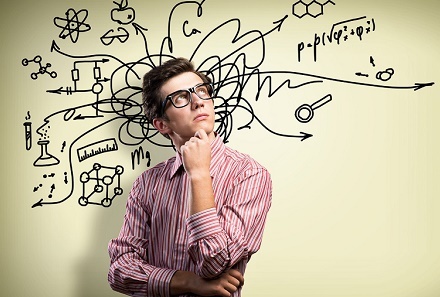 Conversion rate is the sole metric that tells you how well you turn visitors into customers. 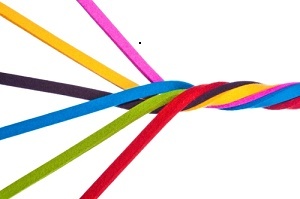 How well the whole mechanism – targeting, acquisition, and experience on site – work together. We place a huge emphasis on tracking conversion rate of each acquisition channel and campaign separately. Each campaign, incentive, piece of content and so on should be analyzed by revenue yielded to ensure no effort is made in vain. You can be trying everything out there to get people to buy from you, but only a few tactics will ever work and are worth keeping over the long run. Customers coming from different sources also have different profiles and seeing who responds best to your shopping experience is an insight that can turn your whole strategy upside down. Is it the stay-at-home moms from Facebook coupons campaigns or the young single ladies showing off lifestyle on Instagram? Conversion rate tells you all that. Not a number and still as important for eCommerce data analysis. This is what your customers do – how they engage, browse, shop and everything else in-between – on your site over time. First, people who bought from you once validated their presence in your target group and their opinion matters. You want to sell more to them and people like them. Second, you can’t just stand back and hope they’ll buy. You should know what grabs their attention, and what goes unnoticed, what products they’re interested in, what details or terms they want to know before ordering and how long they take to make a decision. Third, you’re in business because of your customers. To give them the best customer experience possible, you should be monitoring how they interact with the website and constantly improve. 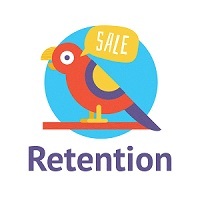 Coming from customer behavior, retention is what happens when you manage to keep people as customers. One simple ratio – between the new and the returning customers you have – can identify a few problems. You might be overspending on acquisition without real ROI. If you have more one-timers than returning, you’re paying too much for each order coming in. If most people who buy from you once never return, you have a problem with customer satisfaction (unless it’s your product’s nature, of course – wedding planners don’t usually enjoy a lot of repeat business). You’re not making the best use of the information you have on your customers. They don’t see relevant offers and have few incentives to come back. 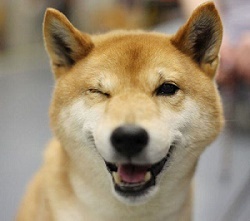 On the other hand, a solid loyal customer base guarantees some revenue and needs no ads. We see such questions from merchants every day. To be able to answer, you need to look at how revenue has been doing over a longer period – and account for everything that affects it like seasonality or shopping holidays, for example. Seeing the big picture will show you patterns and will make sales forecasts and budgeting easier. Also, you’ll stop worrying about month-over-month fluctuations and focus on the long-term development instead. After all, running a business is not a one-day thing. To wrap this point up: these are the key metrics that really show if your business is doing well. Everything else is details. Yes, you need details, but not to dive in and never make it back to the surface again. As in many other fields such as design, simplicity is beautiful and functional, not need for analysis paralysis. In fact, when we talk with our clients, all eCommerce entrepreneurs, we find they share an outlook on business. What do successful e-commerce businesses have in common? They decide on simple goals. Conversions and loyal customers are often all they are after, which means all their efforts go to making people happy with the products and spreading the word. Second, do more with less. gives them the insights needed to eliminate marketing spending on non-converting channels or to double the efforts on product bundles. There’s always something to be improved on your site, product, ad campaign, and blog. However, you’re doing yourself a favor by going after one thing at a time. The advanced eCommerce analytics tools like Metrilo let you see your WooCommerce analytics or Magento analytics data and use it right away. 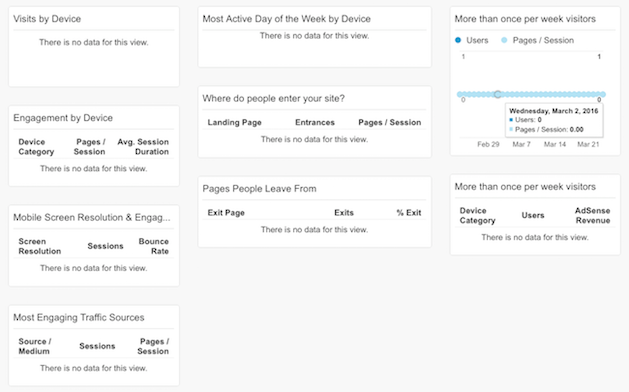 Google Analytics also has reports on the metrics we talked about above. 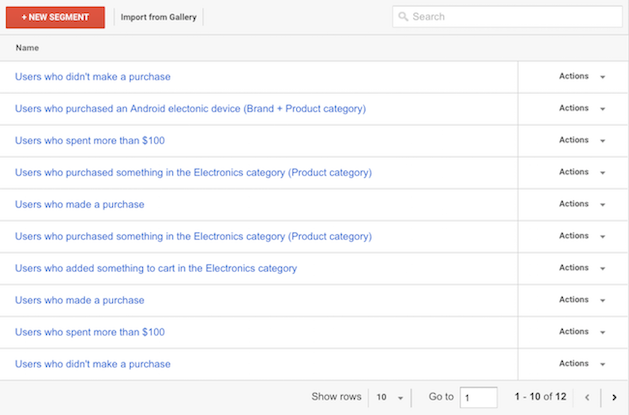 To save you some time, we found a few useful reports all set up especially for eCommerce data analysis. Just follow the link to the report and import it into your own GA reporting. If needed, you can change and move things around. 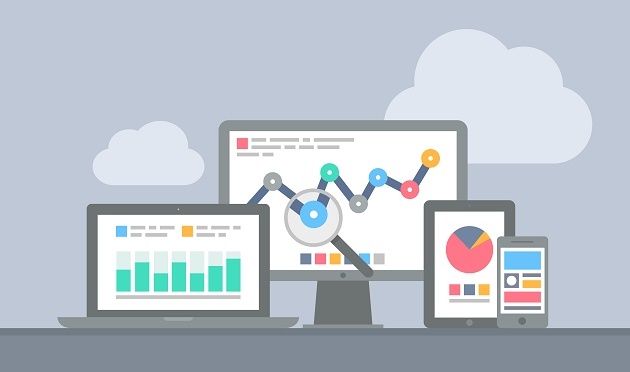 Note: Some of the reports require you to be a user of the Enhanced Ecommerce Analytics by GA. This is a custom dashboard (set by Cemal Buyukgokcesu) that can help you analyse your growth while showing how to improve visitor engagement on your site. Even if you are not an advanced user, these metrics should definitely give you insights and ideas what to work on to boost engagement. 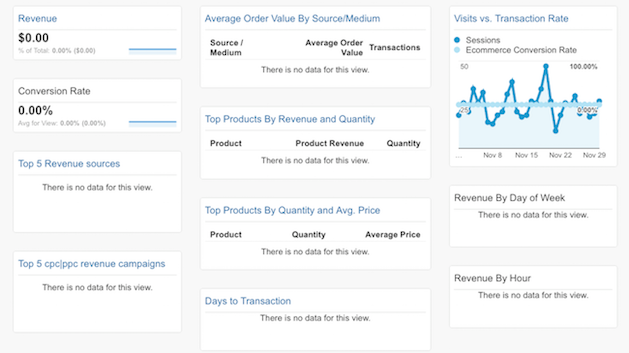 This dashboard is perfect for people already using Enhanced Ecommerce Analytics. As soon as you import it, you will have an overview of all your top selling products by quantity/ averages price/ revenue, conversion rates, revenue by the hour and more. 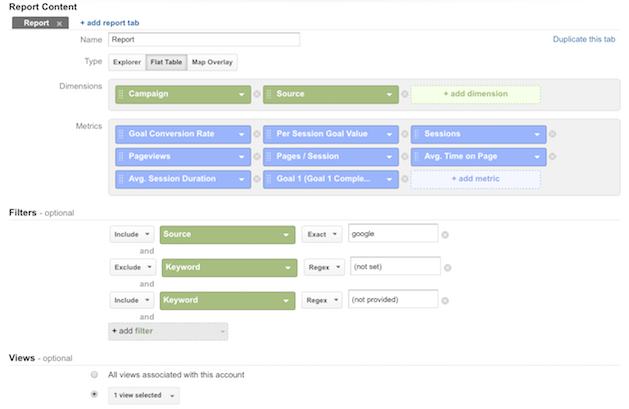 If you run PPC campaigns, this custom report shows how your campaigns perform. It is the easiest way to highlight the channels that work for your business and the ones that don’t. 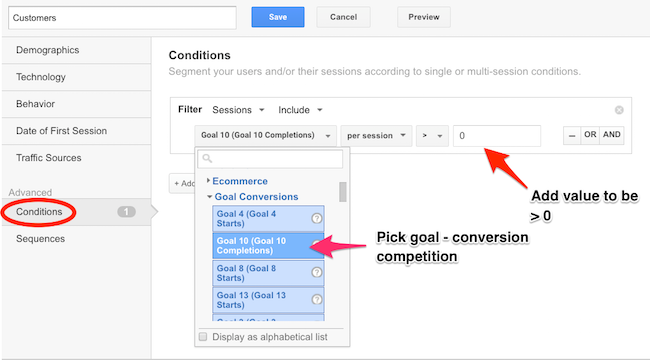 You can simply compare the performance of your campaigns based on your goal conversions. 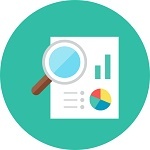 This custom report gives you insights on your landing pages and most relevant indicators for engagement. By tracking where your customers usually land on your site, you get an idea what keywords these people search for. This works pretty well when you need to evaluate the keywords bringing relevant traffic to your business or to identify the ones that don’t. Note that to use the custom eCommerce segments, you will need to have “Enhanced Ecommerce” up and running. You get instant access to 6 different segments. Thus, you understand better the different groups of customers you have. Keep in mind that you can easily change the product and the product category so they fit your needs better. Also, you might have to tweak this report a little. When you open the report, you’ll see the last column shows “Goal 1 Completions” – to make it more relevant to your case, just change that event to your engagement goal. Looking at numbers won’t get you more sales, that’s true. 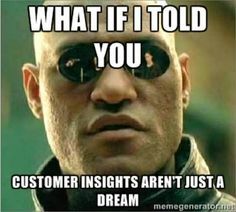 When we talk about data analysis and KPIs, we don’t mean you should just glance at a report and go on about your day. Why are Facebook ads not performing well? How to get more people in? Should I keep trying on Twitter? What am I missing on my product pages that puts people off and I lose sales? Why am I selling so much and still not making profit? How to connect better with my existing customers and cater to their needs? All these questions and more can be answered with some data. Not a fabulous pastime but it’s better than sitting in the dark and basing budgeting decisions on gut feeling. And because we can go on all day about well-timed offers and being relevant, let us give you a few examples of simple tricks you can do thanks to data – your own data. Let’s say the average time your customers take between orders is 18 days. Those who buy again before that mark don’t need incentives. On the other hand, those who take longer than average are probably slipping away so they some incentive to come back. It’s that easy to control your promotions. The easiest way to re-engage them would be via email. 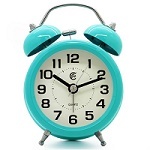 10 minutes of segmentation and crafting the copy – and you reap additional revenue. Imagine doing that for all customers. Yes, we hate annoying pop-ups, too. But when timed well, they help you convert indecisive visitors. Just don’t make it pop the first 5 seconds. It’s all about the average time people spent on your site before ordering something. How can you do it? Head to your Google Analytics. First, create а customer audience. To do that, you need to go to Audiences -> Overview and select “+Add Segment”. Then, in the next tab, you will have to press the big red button “+New Segment”. A new tab will appear. Go to “Advanced” and select “Conditions”. There, pick the goal you have previously set to be your conversion completion from the drop-down menu and add the value (a positive number). When you complete it all, you will have a way of measuring the average time it takes your customers to complete their orders. Now, how much time do people take on average browsing before placing an order? Trigger the pop-up past the average time spent so most people will have moved on by then and won’t see the pop-up at all. Those who take longer than average need a little nudge to complete the process. You can have a special incentive that overcomes common objections (shipping, price, return policy, etc.) just for them. It’s true someone might discover the offer “by chance” and abuse it even if they’re set to buy, but it’s a small price for all the extra orders you’ll get. What product category they shop the most? Gluten-free? Plus-size dresses? Baby crème? – This will show you preferences, style, kids/ no kids, etc. How often do they browse your site and how does it compare to the frequency of orders? – Window shopping indicates interest but when it doesn’t translate into orders, maybe they can’t afford to spend too much. How do they end up there every time? – If they search for a product and click on you, it’s one thing; if they type in your branded website directly, it’s another and you’re their go-to site in the niche. What do they look at? – A particular item to go on sale or just checking the “New in” section? Return policy? how to be relevant to them and offer only what they’re most likely to say “yes” to. A simple example – you notice a customer who buys kid’s stuff regularly and only steals a glance at a special and pricey mom item every time. If she’s spent $500+ with you, why not treat her to a 50% off that exact item and make her jump in her chair? Talk about personalization and being relevant then! She’s happy, you’re happy, and that would’ve been impossible without data. Even more – she might have never thought about actually wanting the item so much. If you’re one of the few people who are not afraid to go deeper into numbers, we have a serious selection of resources to up your analytics game. This list includes books because nowadays, they have to be really, really good to succeed so readers win; and podcasts – the convenient medium creates classics that can be replayed over and over. 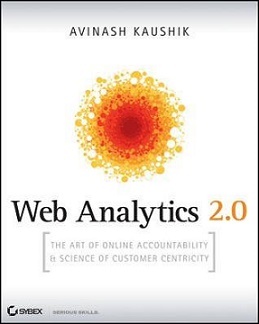 Avinash Kaushik is a Google Analytics evangelist and a data expert. The book is definitely a great first stop on your quest for conquering data and turning it into a friend. It provides actionable advice and instruction on using analytics techniques the right way – because, we all have to admit, sometimes we don’t do it right, we look for numbers that look good. The book covers social, offline and mobile as well as traditional web, and is written in a friendly way for beginners to understand too. Drew Sanocki founded the online fashion retailer Design Public, sold it and now consults companies about eCommerce and digital marketing while running Nerd Marketing, a blog about data-driven eCommerce. In the particular episode we share with you, Drew talks about his guiding equations for making $1 million in revenue with Design Public. Equations shouldn’t sound off-putting, they are more like relationships between metrics that you need to check anyway. And he makes ROI sound really straightforward. Who knew you could keep profitability in check with two equations? What’s really interesting in Drew’s podcast is his holistic approach to Commercece. He admits it’s pretty simple and people have been doing a form of selling and buying for thousands of years. blogs, especially when I was running my retailer, if I read blogs or newsletters or something like that and I just hear about all of the successes around me I kind of go nuts. Another one from Drew, but he really deserves the attention. with his no big words, just actionable advice resources. Familiar with Tripwire marketing? Well, no better time to get acquainted. A Tripwire is a deviation from the standard customer behavior that you have been getting regularly. It is a sort of a deviation, a trigger, an opportunity for you to exploit for a better business outcome. Drew explains how you can do that based on your own data. 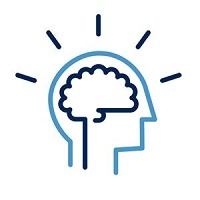 See how behavior-driven analytics can turn even a negative situation into a positive one. This ebook guides you through a complete website optimization that is balanced for design, messaging, and content. It shows you how to use data analytics for e-commerce to improve the customer journey. Ok, folks, hope you’re now convinced everything you need to improve your business performance is already in your eCommerce data and that a little analysis is not that scary. We’re fascinated with all the things you can see in the numbers – both quantitative and qualitative.